This smoosh art project was a hit with both classes. 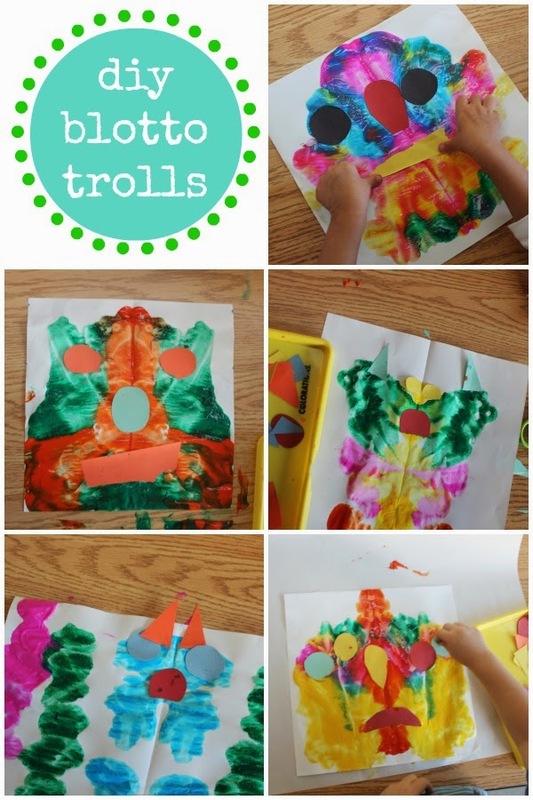 Many of the children made an entire army of trolls. The process is the same for any smoosh art (aka blotto and/or blobs), fold paper in half, work on one side, fold and smoosh. To create our trolls, the children added geometric features that were pre-cut and piled onto a tray. The paint was wet enough that all they had to do was select, arrange and push into the paint...no glue needed. Some of the children had specific wants for shapes and colors, others cut their own shapes. 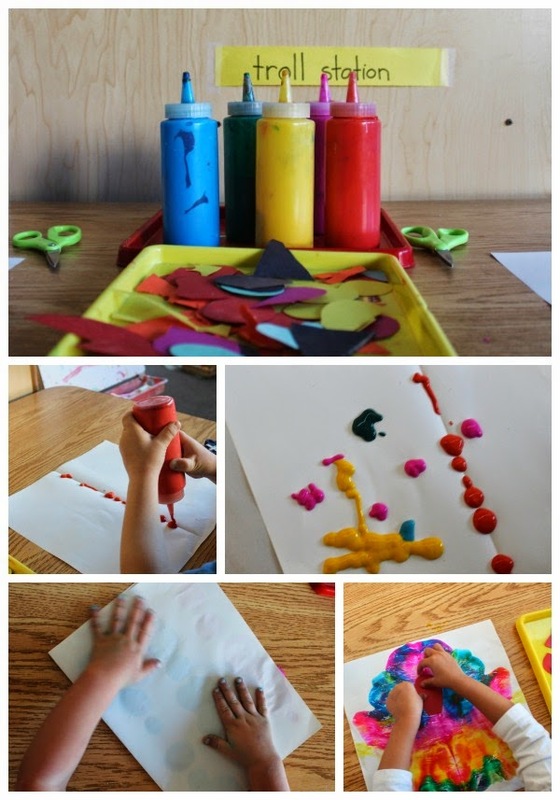 This is a great companion project for our week of The Three Billy Goats Gruff. As we worked on our trolls, we talked about symmetry and planning...too much paint oozes out of the edges, too little doesn't smoosh enough. The children really went to town and I wish I had more photos of their awesome trolls! thank you! yes, the billy goats is a tricky story for projects. next year we're going to build bridges using wood scraps and glue and maybe even some hammering will happen!